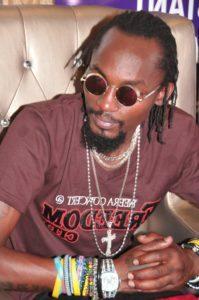 Mowzey Radio passed on Thursday morning at Case Clinic where he had been admitted following a brawl at a bar in Entebbe. File photo. KAMPALA–President Yoweri Museveni this morning joined other Ugandans to pay tribute to departed musician Moses Ssekibogo, best known as Mowzey Radio. Radio died this morning at Case Clinic Kampala where he had been admitted barely two weeks ago. “I have been told about the untimely death of musician Moses Ssekibogo aka Mowzey Radio. He was a talented young person with a great future ahead of him,” President Museveni tweeted. According to Wakaza, Radio, went to Holy Cross Lake View Senior Secondary School Jinja from S.1 to S.4. He then joined Kiira College Butiki for Advanced Level studies. “He was always among best five in class. He was best in Literature, English and music. He is the only one who used to understand music lesson, to us sol-fa notes were hard. As seatmate, he taught me how to be creative when writing stories which was hard for me but I also helped him in mathematics,” Wakaza now a high school teacher reminisced. “He was always voted the best in music competition at the district levels in all competitions the school engaged in. He associated more of female schoolmates right from S.1 up to S.4. You could never spot him at football pitch, but it could not be a surprise to watch him at net ball court,” he added. According to Wakaza, Radio used to lead music in the Catholic Chapel and was always best vocalist and actor in inter house competitions. “At school during parents’ day, he could sing and move the audience. He never used to engage in riots and acts of hooliganism. I wonder how that came of him,” Wakaza said.